Amongst the current storm that is IPA there is always the calm and beauty of the beer that takes it back to where it all began (modern times). None other than the American IPA. Our latest BeerHall release pays homage to the simplicity and beauty of the original style by creating what we think is a delicious unfiltered,unfined, raw and to the point IPA. Citra, Chinook, Amarillo and Cascade were used late in the boil and heavy in the dry hop to give the beer its characteristic West Coast flavour. Citrus, stone fruit, pine and resin are some of the flavours and aromas you can expect to hit the palate. Medium to high bitterness is accompanied by a soft caramel malt finish that melds nicely with the resin hop character. 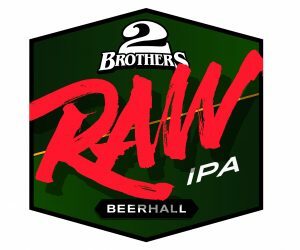 Not overly high in alcohol, RAW comes in at 5.8% ABV, allowing room for maybe that extra glass you wouldn’t have otherwise had. Currently only serving at the BeerHall, you can expect to see this single batch at limited venues around Melbourne from next week onwards. We hope you enjoy our tribute to the O.G of beers, the classic American IPA!